Whether you are looking for warmth or a dynamic finish to your sport-luxe look, the Sun & Sand Sports collection of trendy winter jackets and winter coats is sure to fulfill all your requirements. Begin a seamless online shopping experience with us today and browse through the latest on your laptop, mobile or tablet from the comfort of your home. As the temperatures drop, the requirement for a trendy winter jacket or winter coat goes up. 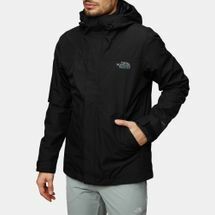 For those who do not let the cold distract them from their workout routines, we have a collection of jackets and coats from upcoming and established labels for both men and women. Select your favourites from a range of different materials, sizes, colours and prices to suit your style this season. Offering thousands of styles across womenswear and menswear to help you stay ahead of the trends, we have everything that you look for in winter jackets and coats. Trendy and stylish, our designs are equipped with technologies that will help regulate your body temperate depending on your level of activity. Expertly tailored to move with your body and manufactured with precision high-tech materials, our insulated winter jackets block out the cold and wind, while still feeling lightweight and breathable. Enhance your performance however low the temperature drops as our breathable, warm and exceptionally comfortable jackets will help you stay focused on your goals. Zip it up or keep it loose – from hoodies to compression styles, from leather to fur, from technology to functionality - we have it all. Shop the latest winter jackets and winter coats now at the Sun & Sands Sports online store and stay ahead of the cold weather.